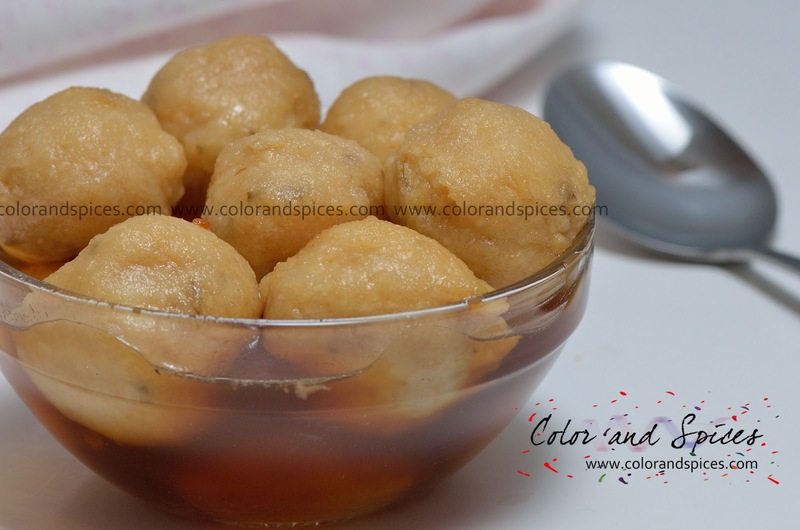 Color and Spices: Rosbora...The Sankranti celebration continues..
Rosbora is another delicious special sweet made during Poush Parbon. The name tells it, 'Ros' means syrup and 'Bora' means dumplings or nuggets. 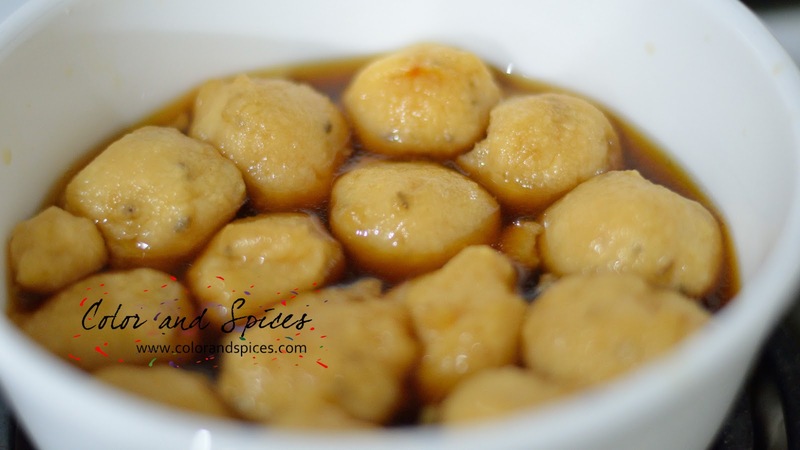 These are urad dal dumplings soaked in date palm jaggery syrup. 1. Soak urad dal for 8 hrs or overnight. Wash well, till water runs clear. 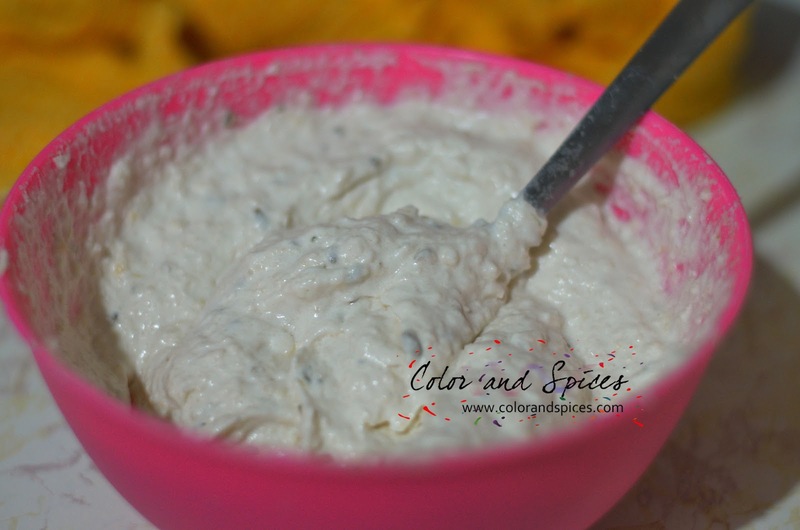 Make a paste of the urad dal. While making the paste, use water as little as possible. 2. Take the paste in a bowl, add a pinch of salt and the coarsely ground fennel seeds. Now beat the dal very well. If you do not beat it well the dumplings will be hard from inside and the Rosbora will not soak syrup and will not taste good. So BEAT THE PASTE VERY WELL. To know whether you have beaten it to perfection, take a bowl full of water and take a very small amount of the dal paste and drop in the water. If the paste floats then you need not to beat any further, but if it sinks down then you need to beat more. 3. 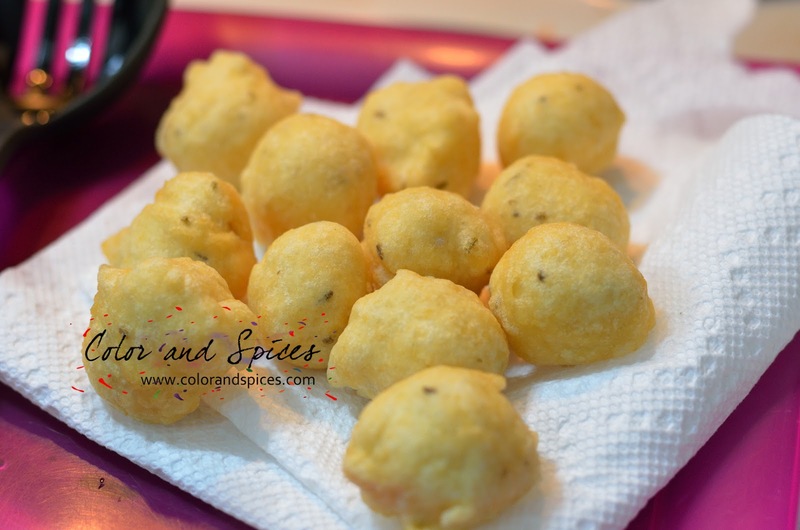 Take a deep pan or kadai, heat enough oil(any vegetable oil) to deep fry. When the oil is hot reduce the heat to low. Add a spoonful of dal paste and add to the oil. 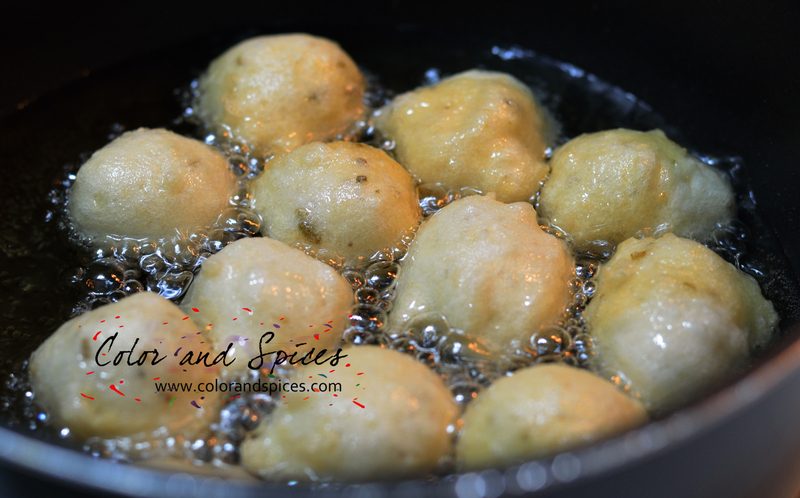 Fry 6-8 dumplings at a time, depending on the size of the pan or kadai. Fry over a low-medium flame for 4-5 min. You do not need to fry it till brown like pakoras. 4. Using a slotted spoon take out the fried dumplings and keep them on a paper napkin lined plate. 5. As the dumplings are being fried, in a pan boil water(3 cups) and sugar(2 cups). As the sugar dissolves completely add the date palm jaggery. Keep stirring to mix well. Keep the syrup warm. Add the fried dal dumplings to the hot syrup. The bora/dumplings would tend to float, with a help of a ladle or spoon dip the boras in the syrup. In case you do not get date palm jaggery, increase the amount of sugar, as per your taste. 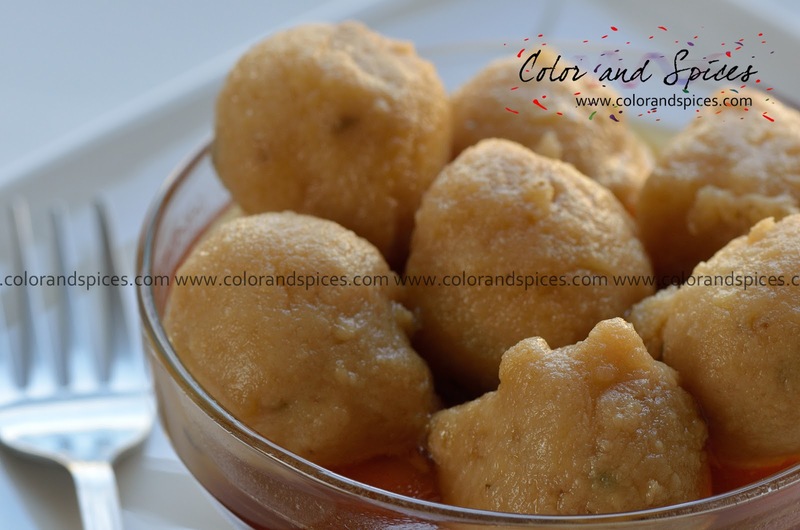 Click here for Patisapta recipe.